​It's been quite the week in the Premier League, with festive fixtures coming at us left, right and centre. With the games racking up, it's more important than ever to focus your mind on the most important thing this Christmas - fantasy football of course. Chelsea and Manchester City headline this weekend's action when they clash at Stamford Bridge this Saturday evening. Elsewhere, Liverpool face a stern test when they take on surprise package Bournemouth, while Spurs will look to continue the momentum picked up with their win over Southampton when they travel to the King Power Stadium to face Leicester. With players hitting form and then being promptly dropped due to fitness concerns, it's the most unpredictable time of year when it's coming to getting the balance of your squad right. So sit back, make some notes and take a peak at who's hot and who's not ahead of the weekend action. Lukasz Fabianski: Signed for just £7m in the summer from relegated Swansea, it always looked likely that Fabianski would turn out to be one of the steals of the summer. And that's exactly how things are turning out, with the West Hams stopper having put in some stellar performances this campaign. A clean sheet at Newcastle was followed up with a penalty save against Cardiff in midweek and with an out-of-sorts Crystal Palace awaiting this Saturday, there is no time like the present to get the £4.5m man in. Bernd Leno: Arsenal's resurgence under Unai Emery continues, with the north Londoners now having gone 20 games unbeaten in all competitions. Clean sheets have been hard to come by for their German goalkeeper, but things are looking are up for the £4.8m rated keeper. Huddersfield, Southampton, Burnley and Brighton are up next for the Gunners, and there has been movement in the fantasy market to bring in Leno as a result. He could be a wise choice. Ederson: Top of the league, winning almost every week and seemingly unstoppable - so you'd think that Manchester City goalkeeper Ederson would be a seriously good choice for your side. Well, it would seem fantasy land has other ideas, with the Brazilian the most transferred out goalkeeper heading into this weekend. A trip to Chelsea probably has something to do with it, as well as his hefty price tag of £5.8m. With money saving options elsewhere, it's not a bad shout to take him out. Matt Doherty: Just a few weeks after finding himself on the who's not list, it's been a remarkable couple of games for Wolves' ever reliable right wing-back. A goal against Cardiff, followed up with an assist against Chelsea has earned Doherty 12 points in his last two outings. Wolves seem to have found their mojo once more, and at just £5.0m, it's hard to argue against putting Doherty back into your side. Cédric: A Southampton defender as a hot pick when they can't win a game you ask? Yes, yes indeed. It may seem like a bizarre call, but this is very much a bigger picture selection. With Ralph Hasenhuttl newly appointed as manager, a bounce in performances is quite likely down at St Mary's. Cardiff, Huddersfield and West Ham are among the sides that the Saints face in their next four games, so there is no time like the present to gamble on Cedric. 4.6% of players already have, so why not join them. David Luiz: Having forced his way back into Chelsea's first team plans, things have been looking rosey for the Brazilian this season. In recent weeks though, errors have crept back into his game and his decision making has been less than impressive. Ousted by Andreas Christensen (for fitness reasons perhaps) in midweek, it could begin a downward spiral for Luiz as Chelsea look to steady their ever so slightly rocking Premier League ship. Son Heung-Min: After an action packed summer, it finally appears that Spurs' Son Heung-Min is finding his form in the Premier League. The South Korean was on both World Cup and Asian Cup duty before the season began, and as a result, he has looked tired and jaded at times. He has looked back to his scintillating best in recent games though, and could play a huge part in Spurs' push for festive points. Just 3.1% of players have him so far, but that number is beginning to rise week by week. Ruben Loftus-Cheek: Frustration, frustration, frustration. 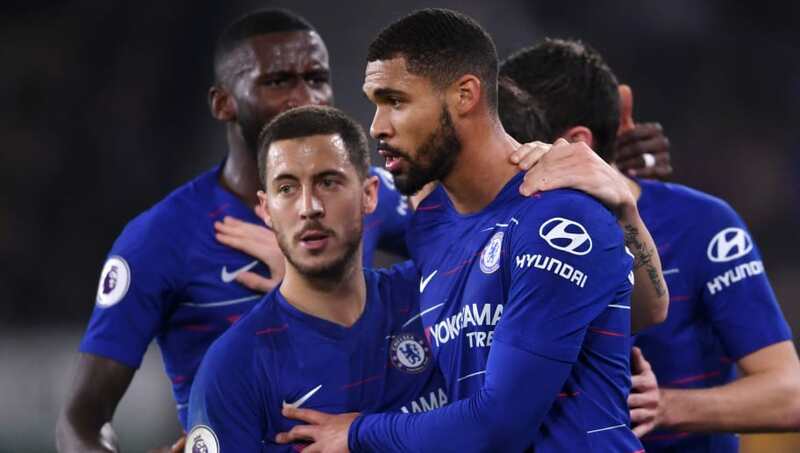 Most likely words that resonate with Chelsea midfielder Loftus-Cheek this season, with opportunities having been few and far between for the England star. He's finally been given a chance by Maurizio Sarri in recent weeks though - and it's a chance he seems determined to take having scored in back-to-back Premier League games. It may be time to take a punt on the £5.2m man. Paul Pogba: Heralded by many as one of the best players in the world, you'd imagine that Pogba would be the first name on Jose Mourinho's teamsheet at Manchester United. That simply isn't the case though, with the French World Cup winner bearing the brunt of his manager's frustrations for many months. His place in the side is no longer guaranteed despite United's dismal run of form - meaning the 10.4% of players who have him should seriously consider alternatives. Pierre-Emerick Aubameyang: This next pick is pretty self-explanatory, given Aubameyang's goalscoring exploits in the Premier League this season. The Gabonese striker has 10 goals to his name, leading the scoring charts by one from nearest rival Harry Kane. The fixture list would appear to be kind for the next few weeks, so popping Arsenal's top marksman into your side seems the appropriate thing to do at this stage of the season. Chicharito: With teammate Marko Arnautovic ruled out through injury, the time to shine up front at the London Stadium is now for Chicharito. The Mexican striker scored a brace against Newcastle last weekend, and will fancy his chances of more glory against Crystal Palace on Saturday. He only costs £6.2m too, so what more could you want? Wilfried Zaha: It's been a real season of struggle thus far for Crystal Palace, and one factor for that has been their inability to score goals. More specifically, their problem lies with Zaha's inability to score goals. He has failed to score in his last nine Premier League games - a run that will be of real concern to not just the Ivorian, but the 800,000 + players that have selected him. It could be time to look elsewhere, if you haven't already.